Northern Voices: Yahoos turn Manchester Metrolink into a playgound! Is this why the trams are under-used? Yahoos turn Manchester Metrolink into a playgound! Is this why the trams are under-used? For well over decade there's been questions asked about whether public trams are cost effective and value for money. Some believe they are too costly and underused and a bit of a white elephant. In an interview in August 2016, Kieran Quinn, the leader of Tameside Council, in Greater Manchester, told a local journalist that the Manchester Metrolink was chronically underused and inconvenient: "I did the tram journey once to go to Oldham. It was a lovely day out, but you need a picnic and butties to survive it." As a user of public transport, I would normally go by train or by bus. However, I recently travelled from Ashton-under-Lyne to Manchester by Metrolink. 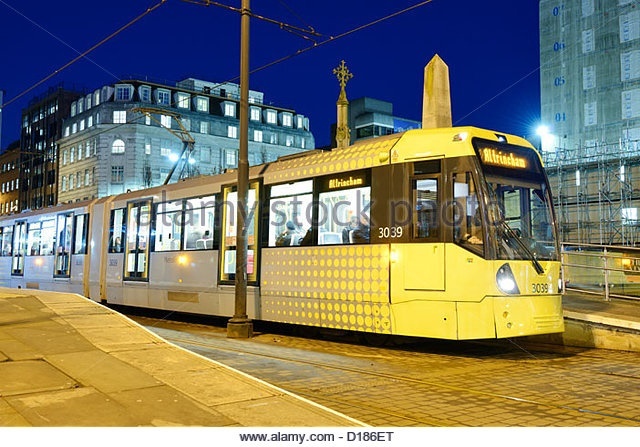 The tram takes around 40 minutes to arrive at Piccadilly Gardens in Manchester after departing from Piccadilly Station. The trams are clean and reasonably comfortable and the pace is leisurely. Yet, it didn't take me long, to discover why the public might be discouraged from travelling on the Metrolink. In a word the problem can be summed as Yahoos or Yobs. The first time I got on the tram in Ashton, a group of yobs were climbing all over the seats and hand-rails like a bunch of monkey's and letting off the tram alarms. The driver spoke to them twice but didn't tell them to get off and they generally ignored him and carried on regardless. I then got off the tram having decided to travel by bus because there would be less hassle. Two days ago, I travelled to Manchester from Ashton during the afternoon. The journey to Manchester was perfectly fine and there were no incidents. On returning, there was a group of youths stood near to me who were swearing and shouting at one another. Passengers just looked on bemused or tended to ignore what was going on. At Clayton Hall, a scrofulous looking Manchester youth alighted, and then threw something into the tram, kicked the door and deluged us in a shower of expletives. When the tram sped off, I said to a passenger in front from of me, "Is this why the trams are chronically underused?" she just looked at me and smiled. At Ashton, I complained to the driver who was sympathetic and understanding when I told him that I would probably use the train or bus in future to travel to Manchester. I told him that these kids had turned the tram into a playground and were being allowed to get away with it because there was no guard. He then told me that two weeks ago, when driving from Ashton to Manchester, stones had been thrown at his tram, breaking his front window, and cutting his face. The burly tram driver told me, that they were not allowed to touch the kids because they would get fired. Apparently, they can't even ask them to get off the tram. A bus driver later told me, that he'd spent five miserable years driving trams in Greater Manchester and that it had been almost a nightmare. He said that he'd been told that in the event of an incident, he should lock himself in the drivers cabin and leave the passengers to their own fate. I was once told by canal users who traversed the Huddersfield canal from Manchester through Ashton to Stalybridge that they called it 'bandit' country because disgruntled youth's often hurled stones at their barges from the canal towpath. Now they're throwing stones at trams and trains. I suppose one could blame this sort of mindless vandalism on all manner of things - lack of discipline in schools and homes, the follies of youth, poor education, the welfare state or that useless public-school half-wit, David Cameron, who told us all "to hug a hoodie." Yet, in Liberal capitalist societies, like Britain, there's an implicit belief in the inherent rationality of the individual. Society is seen has being composed of rational, selfish individuals, who are naturally competitive and spend their time pursuing their own self-interest. Material comfort is preached as life's ultimate aim. I suppose that if you tell people there's no such things as society, only individuals, then one ought to expect the worst from them. But there can be no such thing as the individual without society and one based solely on enlightened self-interest, as Thomas Carlyle, pointed out, would not be a society or community, but an aggregate of egoists. Even the classic liberal, Friedrich von Hayek, believed that rational behaviour was only possible because people voluntarily, if subconsciously, accepted social norms. "Custom and tradition stand between instinct and reason", said Hayek. Needless to say, most of us know that people do not always act rationally. We can see this when we go out for drink on any Saturday night, in any town in across Britain, and see the lager louts. The ancients seemed to have put their finger on the problem. As the Roman playwright, Terence, tells us: "We all grow worse if we are given too much license." Therefore, If we want kids to behave on public transport then the way to do it, is to do what they used to do with us, when we were kids who misbehaved. Tell them once, and if they continue with bad behaviour, put the little bastards off the tram or bus, and let them walk home or to school. The worst thing you can do is mollycoddle them. Hopefully, they'll get the message.